On the other hand, property management companies face some of the fiercest competition compared to other industries. With over 270,000 property management companies in the United States, you need to work hard to stand out. This is why it’s so crucial for you to build a powerful digital marketing plan from the ground up. It’s the final piece of your overall business game plan—one that isn’t just about putting out fires for 60 hours per week. To build a solid marketing foundation from scratch, there are seven key components that you need to cover. When you’ve addressed these seven elements, you’ll be well on your way to creating a new marketing strategy that works for your property management company. Keyword research is when you dig into the search terms that potential customers use when looking for content about your industry. 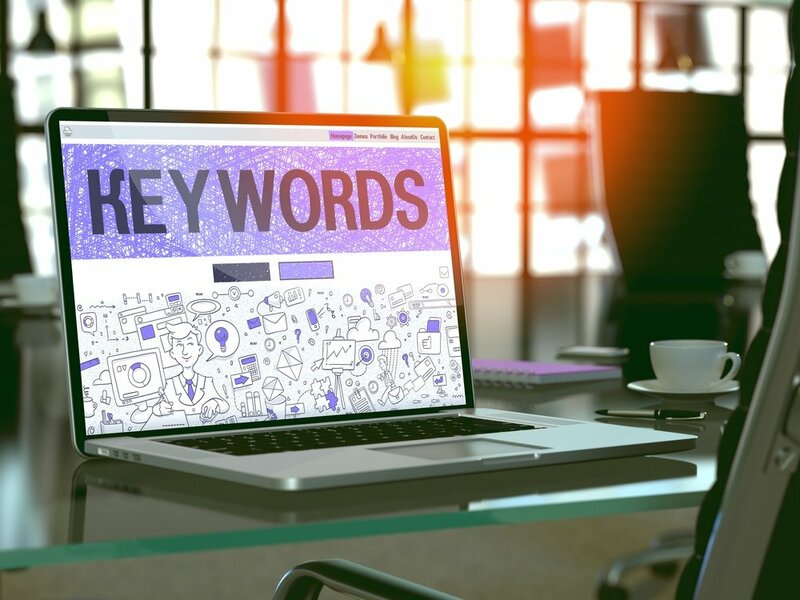 There are millions of unique keywords you can target, and your research will give you insight into the average monthly searches for each term as well as the level of competition. If you’re new to keyword research, it’s important to know the difference between short and long-tail keywords. In your industry “property management” is an example of a short-tail keyword. On the surface, it may feel like you want to focus solely on that keyword because that’s the industry you’re in and it has the most monthly searches. But focusing solely on high-volume, short-tail keywords can be dangerous. Large competitors likely already have stable rankings for these terms. Instead, you can dig into long-tail keywords that have lower volumes and lower competition—ones that you have a chance of ranking highly for. Another consideration is to focus on localized keywords. If you only work in a particular city, you can turn short-tail keywords into targeted long-tails by adding your area of business to the equation. Keyword research isn’t something you just throw together with a few quick searches. It’s a complicated process with a lot of moving parts. But with some basic knowledge, you can put together a loose plan for targeting keywords that will drive organic traffic to your website. You can’t create a new marketing strategy without understanding where you stand relative to the market. Conducting a market analysis gives you useful information about the current state of your rental market as well as benchmark data to assess competition and identify untapped opportunities. Competition: Learn who they are and what they stand for, how they market and their fee structure. Knowing what’s working and what isn’t can help shape your marketing strategy. Housing, Economic, and Demographic Trends: Know the number of rental homes in your market, the vacancy rate of rentals in the area, and the breakdown of ownership for rental properties. Area Rental Analytics: Gather data about rental prices and average application fees, so you know how to price and market your services. If your ideal customers can’t find you online, your property management company might as well not exist. It doesn’t matter how great your marketing strategy is if you’re hidden. That's why Google My Business is a necessity for any new marketing strategy. It's a free tool that lets you manage how your business appears on Google Search and maps. You set your name, location, and hours, monitor reviews and see how customers are searching for your brand. All you have to do is set up an account with Google My Business, verify the business by phone or email, and optimize your listing accordingly. It’s not difficult, but it is a crucial step to being easily found in your area. Content plays a significant role in your marketing strategy. According to CMO Council, 87% of B2B buyers say online content has a moderate or major impact on vendor selection. So, if you’re trying to stand out against other property management companies, you need great content. The key is to come up with a strategy that ensures your content isn’t just published at random. You need to determine what types of content will support your overall goals. At a high level, it will be a mix of blog posts, videos, white papers, FAQs, case studies, and other deliverables that span all stages of the buyer’s journey. Your specific breakdown will be unique to your needs. Part of this process will include defining buyer personas. You need to know exactly who you’re trying to attract so that you can tailor content to their preferences. And if you already have content across your organization, you can conduct a content audit to determine what’s useful, what needs to be updated, and what can be deleted. There was a time when search engine optimization was all about keyword stuffing. But now, the Google algorithm has become sophisticated enough that user experience has a significant impact and keyword stuffing leads to penalties. Optimizing digital platforms (your website, social media profiles, etc.) is all about incorporating keywords, producing great content, and maintaining a friendly user experience. The more you can keep users engaged, the more you’ll show up in search results. With all of these steps taken care of, you have the foundation needed to start filling your website with content. Earning organic search results is all about delivering the most value to customers with your content. The more you can serve people’s needs, the more trust you’ll build with your target audience. Your keyword research, combined with the insights you gain from content audits, should give you enough data to build out an editorial calendar that will drive results. Finally, the last step is to pay close attention to how your new marketing strategy is performing. You can’t know where you’re going until you know where you’ve been, which means you need to continually review your performance to improve ROI. Are we effectively attracting new owners and tenants? How much does it cost us to acquire new leads? How many leads do we require to close one new owner? How long is it taking us to see a return on our marketing spend? Inbound marketing and marketing automation are your two keys to optimizing ROI for your marketing spend. And with these seven basic steps, you’ll have the foundation to orchestrate a new marketing strategy. 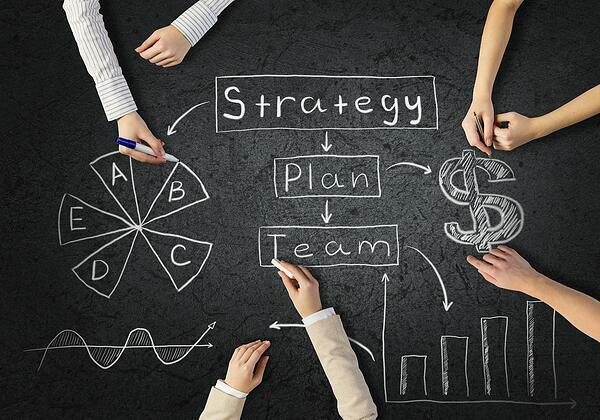 But your marketing strategy is just one component of a property management game plan. If you want to transform your business and get out ahead of the competition, you need a more holistic game plan. That’s what we want to help you with. We’ve put together a free guide that helps you create a game plan that’ll fix your business in just 30 days. Check out our property management game plan and start winning more of the lucrative market.